Happy Valentine's Day from a 16 Weeker! The twins are growing...rapidly I feel. 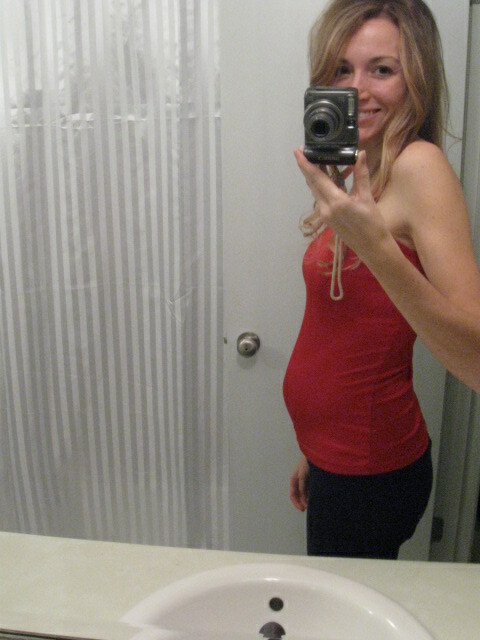 Also, depending on when I take their weekly pictures, my belly changes a little in size. In the morning I feel like I have just a tiny bit of show but come nighttime, I feel (stretching muscles tired of stretching all day) and look a couple of inches bigger. Funny how that is. But either way, I'll take it. Anywho, not much time for chit chat cause our double stroller just waltzed...er, heavily slid...through the front door courtesy of UPS and an unknown as of right now gift-giver! Boy did reality hit me seeing it sit in our foyer! Off to opening it and further getting enthralled with the ever-solidfying reality that we're having two children at once! Oh my goodness! Have a wonderful, love-filled Valentine's Day everyone!